The people of Pari today launched the famous and significant Hiri Lakatoi at Pari village in preparation for the the Festival this Friday. This afternoon the Lakatoi sailed for Manubada Island where it will stay over and will set sail on Friday to Ela Beach for the Festival to begin. Village Chief who took the building responsibility of the Lakatoi Chief Tau Legu took only a week to build the Lakatoi and he was very thankful for all those that were involved in the process to have it ready in a short period of time. 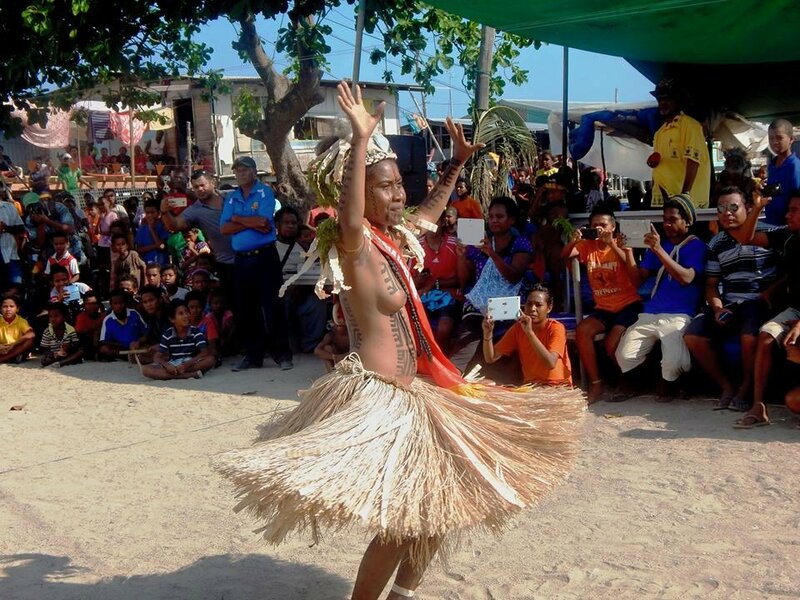 “The tradition of the Hiri Moale Festival, especially the Lakatoi is that, the Chief (Legu himself) will become the Captain to sail the big canoe and will be received by his wife and the contesting Queens (Hanenamos) at Ela Beach,” he said. Moresby South MP Justin Tkatchenko in his remarks during the launching encouraged Motu-Koita people to maintain the Hiri Moale Festival. He told the people that cultures and traditions are our identity and it is very important that it is preserved and maintained and not forgotten. The Member assured the Motu-Koita people that his office will continue to support this significant event in the years to come and he is looking forward to the main event this Friday when Motu-Koita people will get together to celebrate. The Hiri Lakatoi is the traditional sailing craft that the ancestors of the Motu-Koita people used to sail to Kerema in the Gulf Province to trade clay pots and arm shells for sago and the other garden foods and bring back for the families to eat with their fish.